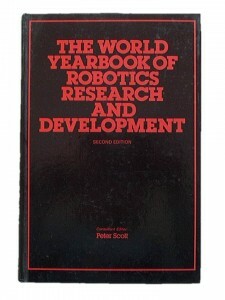 This new edition of The World Yearbook of Robotics Research and Development is a comprehensive reference source encompassing the whole range of robotics and robotics-related research in academic, industrial and governmental establishments worldwide. The book is divided into seven parts: the first part consists of six articles on various aspects of robotics research. These include a review of tactile sensors and two articles on current research and development activities in Europe and Japan. Part 2 comprises selected overviews of robotics research and development in various countries, whilst Part 3, the main part of the book, is a directory of robotics research and development activities. A world index of research and development centers is given in Part 4, Part 5 is an index of roboticists and other key robotics personnel, and Part 6 is a subject index of research activities. Useful addresses and a select bibliography are included in the final section.